Posted on: December 19th, 2017	by Jennifer A. In full disclosure, we were provided with meals, accommodations, and activities at the Crystal Springs Resort NJ in Hamburg, New Jersey to aid us in creating family travel stories to help you plan your family vacation to the Grand Cascades Lodge at Crystal Springs Resort, a family-friendly New Jersey area resort in Sussex County, New Jersey. Have you ever considered a family vacation to the Crystal Springs Resort NJ? I can’t remember how long ago it was that I first saw images online of the Crystal Springs Resort NJ. I do remember seeing photos of the Biosphere and immediately knowing I wanted to get there. I had to know if it was as amazing as it looks and if it was a resort where families are welcomed. I am so thrilled to be able to say that the Biosphere at Grand Cascades Lodge is even better in person. Wait till you see our pictures or watch our video! The Crystal Springs Resort, whether you visit in the middle of a season or between seasons, offers plenty of family fun indoors and out. 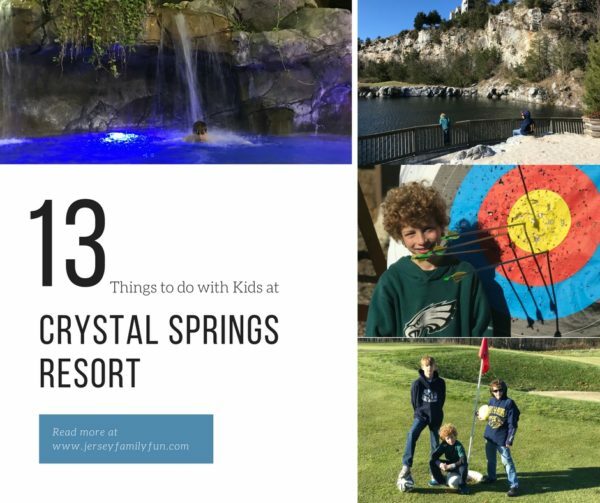 Our first visit to the Crystal Springs Resort was this past November between the fall and winter seasons, we found plenty to do as a family. We made some wonderful family memories and are delighted to be able to share the following stories with you. Enjoy! We spent most of our days at the Grand Cascades Lodge at Crystal Springs Resort NJ. We ate a breakfast and a dinner at the Crystal Tavern, a late dinner at the Biosphere Cafe, and in our suite, we ordered room service and made a few meals. 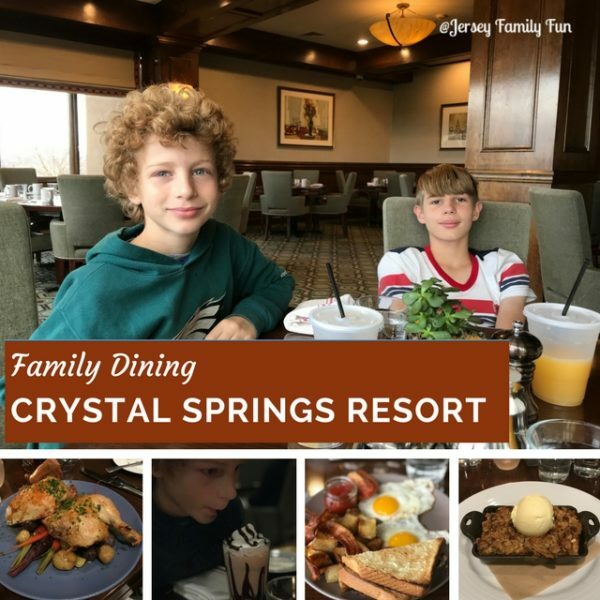 Click over to read about Crystal Springs Resort restaurants and dining options. For our first family vacation to the Crystal Springs Resort NJ, we were guests of the Grand Cascades Lodge in Hamburg, New Jersey. The Grand Cascades Lodge is located among the mountains at 3 Wild Turkey Way in Hamburg, New Jersey. The Grand Cascades Lodge has accommodation options for couples, small families, and larger families. 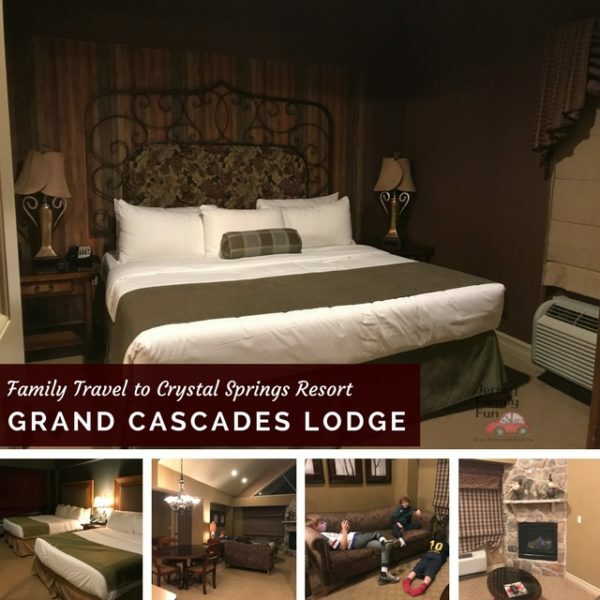 Read about our stay at the Grand Cascades Lodge and Crystal Springs accommodations complete with a video tour of two luxurious room options. The Crystal Springs Resort also offers a second hotel called the Minerals Hotel. Learn more about Minerals here. While my husband wasn’t able to join us, my sons and I enjoyed many of the Crystal Springs Resort family activities. Archery, Footgolf, swimming are just a few of the activities available for families at Crystal Springs Resort. For my tweens and teenager these were all activities they approved of. Click over to read 13 Things to do with Kids At Crystal Springs Resort ~ Tween & Teen Approved. 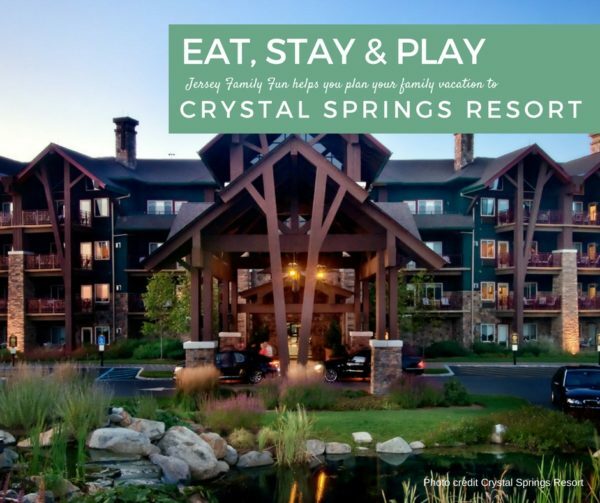 Learn more about the Crystal Springs Resort activities for families on their website here. 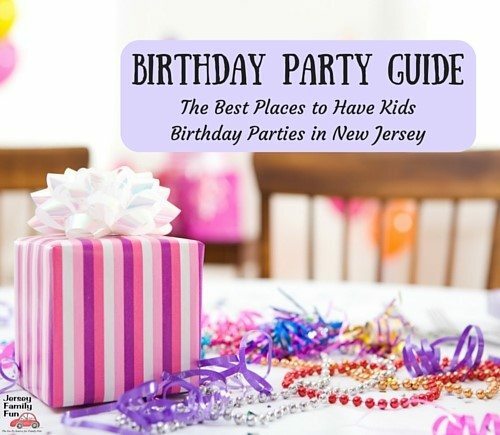 Need ideas for family activities in Sussex County near Crystal Springs Resort NJ here’s a few ideas. Hours vary, so please call before visiting. Friar Mountain Railroad Museum, 240 Demarest Rd, Sparta, 973-579-9833 offers FREE admission as well. For more information on family activities in Sussex County, where the Crystal Springs Resort is located, visit the county tourism website at www.sussex.nj.us. We had such a wonderful relaxing time at Crystal Springs Resort. It was hard to return back to the school routine come the following Monday morning. We’re looking forward to a time when we can return again to this North Jersey family resort. 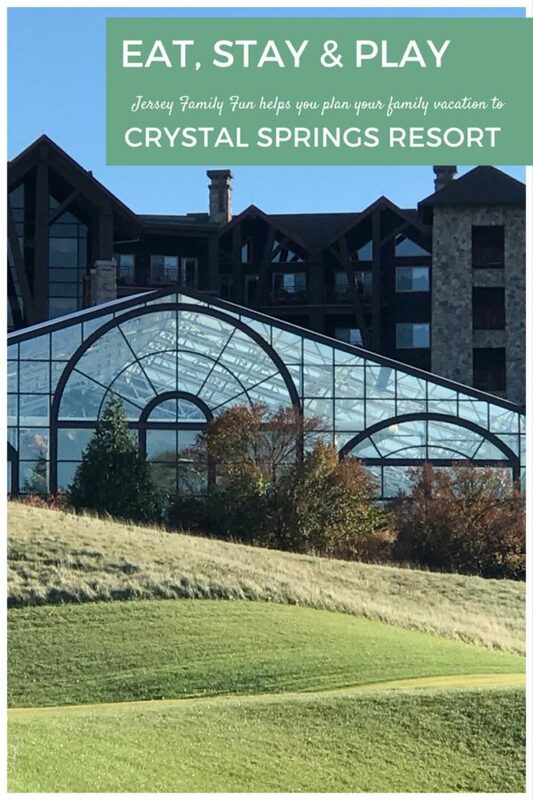 Whether you are in New Jersey looking for a great staycation option or need an incredible place to stay while visiting New Jersey, consider the Crystal Springs Resort. Plan a visit to the Crystal Springs Resort in Hamburg, New Jersey your next family vacation.